Now in its 17th year, the war in Afghanistan is the longest armed conflict in U.S. history. The new military drama “12 Strong,” whose primary visual draw is U.S. troops on horseback shooting at the Taliban with machine guns, understands the reasons for that intractability. Helmed by Danish commercial director Nicolai Fuglsig, the Chris Hemsworth vehicle is is often hammy, but also wryly funny, breath-stoppingly tense, and uncommonly intelligent. Its January dump is a disservice to a promising debut feature. In almost any other situation, it would be inconceivable to think of the U.S. armed forces — the most formidable military in the history of the world — as an underdog. But “12 Strong” takes place in Afghanistan, where rocks, ammo, and complications are in unlimited supply. More specifically, the film chronicles the first troops to enter Afghanistan, about a month after 9/11. Army captain Mitch Nelson (Hemsworth) has at his command 11 soldiers and a plane that can bomb enemy combatants from 30,000 feet. But on the ground, he and his team are technologically outmatched. Nelson gets the movie treatment: He has a model-beautiful wife (played by Hemsworth’s model wife, Elsa Pataky), hair that remains moussed after weeks in the desert, and eyelashes so long they apparently adequately screen the lower two-thirds of his face from the sun. He promises to return home with all his men alive and to complete a never-been-done mission in three weeks, not the six allotted by his superiors — and we’re meant to take him at his word. 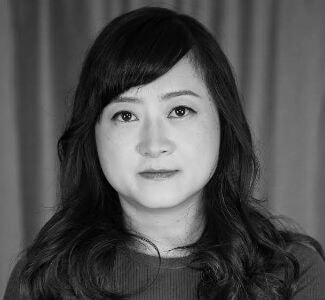 It takes a careful balancing act to convincingly fuse blockbuster feel-good-ism and insightful realism. Thanks to screenwriters Ted Tally (“The Silence of the Lambs”) and Peter Craig (co-writer of the final two “Hunger Games” sequels), “12 Strong” offers both cornpone patriotism and vexed skepticism, as well as a genuine sense of camaraderie among the Army soldiers. Trevante Rhodes (“Moonlight”) and the always welcome Michael Peña, who play members of Nelson’s team, leaven the few moments of respite from the near-constant suspense. Taking a backseat to untrustworthy allies and figuring out the coordinates for aerial bombardment as the main mission tasks, Nelson’s team fight a new kind of war. 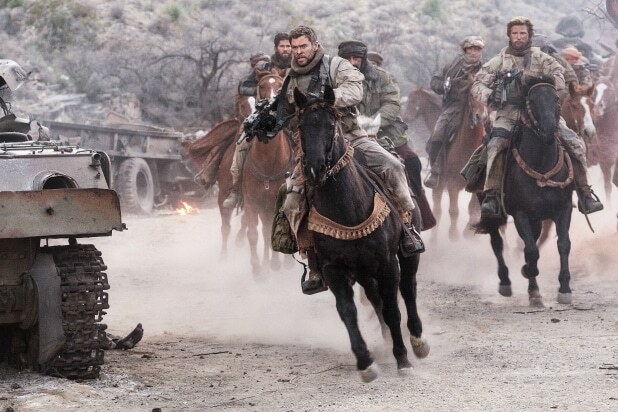 That making-it-up-as-they-go-along quality adds to the film’s unexpected freshness, especially as the eager guinea pigs eventually head into battle on horses, with the Taliban’s tanks charging at them as enemy rocket launchers whoosh above their heads. The mental chess game between the intellectual Nelson and the pragmatic Dostum, especially as the Afghan leader tests the Army captain’s willingness to learn, is fascinating to watch. It’s not that the Afghans are inscrutably foreign; they just have their own histories of rivalries and hostilities that few Americans have the curiosity to learn. That Nelson and his soldiers are absent from the final confrontation with the Taliban leader that they’ve been pursuing feels surprisingly satisfying. It hints at the convolutions — and bloodshed — to come. 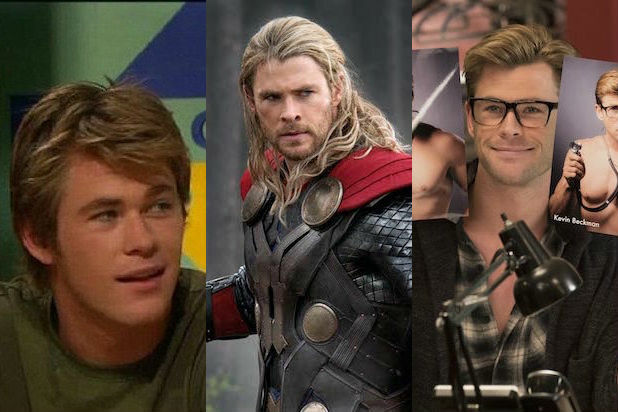 It didn't take long for Hollywood to realize it had something with Chris Hemsworth, but Australia held on to this star-in-the-making for years. The Wrap takes a look at the short-yet-productive career of the only man who could rival Hugh Jackman for pure Aussie star power. Hemsworth's first screen appearance came courtesy of this Australian fantasy series, in which he appeared twice as the legendary King Arthur. Even then, it was clear that long hair was his look. His breakout role, Hemsworth's turn as high school dropout Kim Hyde came about after he auditioned for another role, but was turned down. He won a Logie Award for Most Popular New Male Talent and, at the height of his character's popularity, competed in the fifth season of "Dancing With the Stars Australia." In May 2015, Hemsworth returned to the show as an extra after catching up with old friends on the set. For his first film role, Hemsworth appeared in "Star Trek" in the small but important role of George Kirk, the father of legendary Enterprise captain James T. Kirk (Chris Pine). The Aussie finally broke out in America by playing Thor, God of Thunder, in the eponymous film. He won the role over, among others, little brother Liam Hemsworth ("The Hunger Games") and Tom Hiddleston, who was promptly hired to play Loki. Filmed in 2009 and kept on the shelf for three years, "Cabin" was acclaimed by critics and audiences alike for its skillful skewering of horror cliches. By far the biggest film of the year, "Avengers" vaunted Hemsworth and the rest of the cast to the top of Hollywood's A-list. Oh, and it just happened to change how studios make movies for the foreseeable future. Hemsworth continued his 2012 assault with this fantasy film co-starring Kristen Stewart and Charlize Theron. Though the film received mixed reviews, it was a surprise box office success with nearly $400 million worldwide, further establishing Hemsworth as a bona fide star. He and Theron would later return for the 2016 sequel, "The Huntsman: Winter's War," with new castmates Jessica Chastain and Emily Blunt. Yet another 2009 project that was delayed until it could bask in the "Avengers" success, this remake of the 1984 cult classic starred a pre-"Thor" Hemsworth in the role originally played by Patrick Swayze. Hemsworth earned some of the best reviews of his career for his portrayal of racing great James Hunt in the story of his rivalry with Niki Lauda (Daniel Bruhl). Thanks to the "Avengers" afterglow, "The Dark World" vastly outperformed its predecessor in the box office with nearly $645 million taken in worldwide. Some critics were also quick to point out the growing chemistry between Hemsworth and co-lead Tom Hiddleston as an important factor in the film's success. Credit to Hemsworth for trying new things (like playing an expert hacker who happens to look like Chris Hemsworth), but "Blackhat" became, by far, the actor's biggest failure yet and was pulled from theaters after only three weeks. Another hit with audiences, "Age of Ultron" won Hemsworth a People's Choice Award for Favorite Action Movie Actor. However, the actor would later admit it was around this time that he had started to get "a bit bored" of playing Thor. Hemsworth took a try at pure comedy for the first time with the remake to the 1983 Chevy Chase classic. Though the movie itself was panned, Hemsworth earned positive notices for his comedy debut. For a man who started a career based on how his body looks, give him credit for having the courage to do away with it for a role. To play Owen Chase, a sea captain who was stranded for months at sea, Hemsworth dropped forty pounds by eating only 500 calories a day. Hemsworth put his comedy chops back to work by playing opposite some of the best comedians working today: Melissa McCarthy, Kristen Wiig, Kate McKinnon, and Leslie Jones. For playing a dumb-as-a-post secretary in a clever gender trope-reversal, Hemsworth received high marks from several critics. Marvel finally realized how to utilize Hemsworth's comedic abilities for his most famous role: hire a comedy director. Under helmer Taika Waititi, Hemsworth (and the film) soared to new heights in the franchise, delivering what many believe to be the best film in the series and one of the best Marvel films overall. Hemsworth follows up on "Ragnarok" with a co-starring role in "Infinity War," the culmination of the MCU (to this point) and one of the most massive outings by any studio in movie history. Hemsworth teamed up again with his director on "The Cabin in the Woods" Drew Goddard for the strange and surreal "Bad Times at the El Royale." Hemsworth starred opposite Jeff Bridges, Dakota Johnson and Jon Hamm.